ST. LOUIS, Mo. – The Saint Louis Zoo announced it is accepting adoptions of its African lion for Valentine’s Day. “The king of the jungle is also a king of hearts,” the Saint Louis Zoo said. 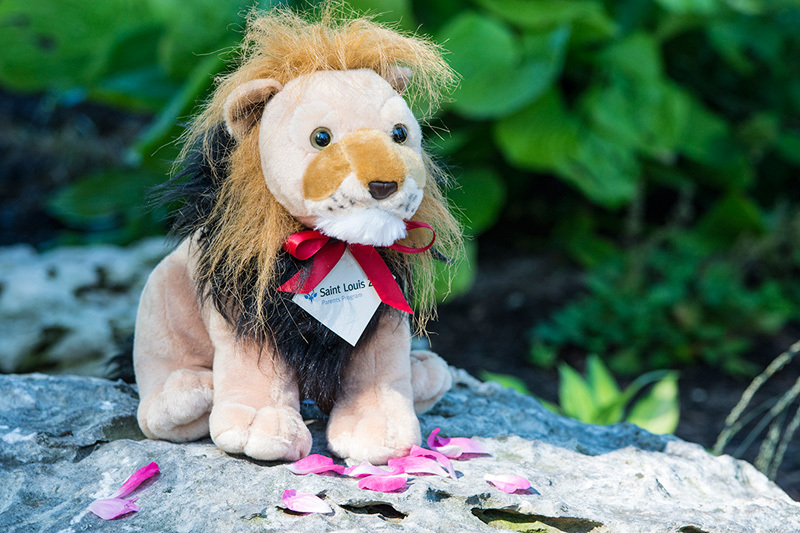 The Zoo valentine adoption package will include a plush toy lion and a valentine card from purchasers (while supplies last), a personalized adoption certificate, color photo with animal facts, car decal, name on the Zoo Parents Donor Wall and Zoo website for a year and an invitation to the Zoo Parents Picnic. For $50, including shipping and handling, the Zoo will deliver the adoption package anywhere in the U.S.
To adopt a lion, order online or call (314) 646-4771 or stop at the Welcome Desk (north or south entrance of the Zoo). Online and phone orders must be made by February 1st to ensure February 14th delivery. Walk-in orders are available until the 14th. Save $10 when adoption packages are purchased and picked up at the Zoo. Proceeds from the Zoo valentine adoption go directly toward the care and feeding of the animals.